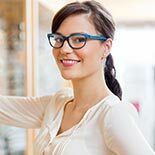 Visions Optique And Eyecare carries a wide variety of glasses frames, sunglasses, and designer glasses frames, including Gucci, Chloe, Juicy Couture, Ferragamo, Ray-Ban, Maui Jim, ProDesign, Face a Face, Etnia Barcelona, and more for women, men, and kids. All of our glasses frames styles are stylish, versatile, durable, and practical. With high quality eyeglasses that match your personality, your eyesight won't suffer, plus you'll be looking great. WE WORK FOR YOUR OCULAR HEALTH! "The staff at the office are extremely friendly and Dr. Uelner is very thorough and explains everything to you. She is the nicest and most..."
At Visions Optique, we pride ourselves on providing you excellence in eyecare and eyewear. Dr. Uelner gives every patient a detailed comprehensive eye exam, which includes total preventative optical health from the eyelids to the retina, measurement for eyeglasses, and contact lenses. She is an expert in diagnosing glaucoma, macular degeneration, and many other eye conditions. 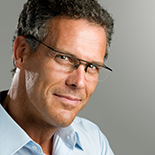 Come in today and see why Dr. Uelner is North Scottsdale's optical health doctor of choice. Dr. Uelner gives every patient a detailed comprehensive eye exam, which includes total preventative optical health from the eyelids to the retina, measurement for eyeglasses, and contact lenses. She is an expert in diagnosing glaucoma, macular degeneration, and many other eye conditions. Come in today and see why Dr. Uelner is North Scottsdale's optical health doctor of choice. We are purveyors of the finest glasses frames for our discerning clientele. Our opticians search the globe over for eyewear made from many exotic materials. We continually update our glasses frame inventory, including designer eyeglasses frames, to meet the needs of our family of customers. Come in anytime without an appointment to try on a new look or ask our expert opticians about the latest glasses frames styles. Vision is the most relied on sense humans have. Eyeglasses without superior optics do nothing but disappoint your eyes and your life. 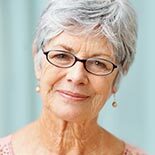 We design unique prescription lens solutions for each patient and deliver only the highest quality optics.